Following the politics, media and current events of Niagara. Written by Greg Miller, one voice of an emerging generation. New political landscape in Niagara – time to move on from a Conservative pet project? All four of the priorities mentioned are worth looking at in depth, but the last one stood out to me. The idea of an international airport in Niagara is not a new one, but the push for international flights to Niagara-on-the-Lake continues to mystify me. Niagara has a great opportunity to receive Federal funding right now, is spending time and money on an international airport prudent? Niagara is getting an airport? Actually, Niagara already has two airports. The Niagara Central Airport in Pelham and the St. Catharines/Niagara District Airport (NDA) in Niagara-on-the-Lake. The NDA is located in Niagara-on-the-Lake, near the St. Catharines border and the Garden City Skyway. It currently has no regular passenger service. Its primary utility is serving small, private aircraft of no more than 15 passengers. Customs officials are on hand for aircraft landing from the United States. The NDA is occasionally used by a local charitable aviation safety organization, the Royal Canadian Air Force for refueling and also for private functions. But it’s best thought of as a private small craft airport. The NDA is a publicly owned, controlled jointly by the municipalities of St. Catharines, Niagara Falls and Niagara-on-the-Lake. Each municipality provides a city councillor to the NDA Commission and elects other, non-political representatives. Including the politicians, St. Catharines has fours reps, Niagara Falls has three and NOTL has two. The airport is funded by contributions from the three municipalities, plus its own revenue. We will get to the financials of the airport in a later section. Why is updating the airport a priority now? The push to for investment to convert the airport to an international airport with regularly scheduled large passenger aircraft is not new. The idea has been revisited intermittently since at least 1993, but let’s look back at when the current push began to pick up steam in earnest. 2011 – Nearly $12-million is granted to the NDA for capital investments in equal installments by the Federal, Provincial and Regional governments. The money is intended for improvements to the terminal and runways. However, as discussed, while the meeting did not technically violate the Act, closed meetings between members of Council and Local Boards have the potential to fuel public speculation and mistrust. As such, the commission may wish to consider a more transparent and open approach to such gatherings in the future where practicable. In this case, in order to avoid public speculation, the Commission might have considered inviting members of St. Catharines Council to a public meeting of the Commission to hear its concerns, particularly since the Commission’s view on the mandate changes was already presented at public Council meetings held in Niagara Falls on November 27, 2012 and in Niagara-on-the-Lake on December 3, 2012. History is boring. What’s the current status of the NDA? As mentioned earlier, the NDA is funded by St. Catharines, Niagara Falls and NOTL with each contributing based on its population. According to its 2014 financial statement, the NDA is economically dependent on funding from the municipalities. The NDA generates $261,400 in revenue and costs $527,900 to operate. The municipalities help make up the operating difference by each providing $184,578, $122,235, and $21,687, respectively. The majority of the NDA’s operating costs are personnel ($316,800). In 2011, $11-million was granted to the NDA for capital investments by the Federal, Provincial and Regional governments; however, as of 2014, $10,762,139 of that is still sitting in the NDA’s bank account, unused. Despite that, the three local municipalities contributed another $112,374, $74,423, and $13,294, respectively, in 2014 in capital grants. So the NDA already has enough money in its coffers for the proposed upgrade. Curious. But I could fly directly into and out of Niagara? Sweet! That is what’s proposed. However, keep in mind those proposing it also suggest an airport that doesn’t currently offer passenger service, makes $17,000 a year in landing fees and operates at a de facto loss has a $25-million economic impact on Niagara. There are five airports that currently provide most of the passenger service for those travelling to or from Niagara: two in Toronto, Buffalo, Hamilton and Niagara Falls New York. Buffalo, Hamilton and Niagara Falls New York are reasonably equidistant to the NDA for many Niagara municipalities. Furthermore, it is considerably more expensive to fly between the US and Canada due to Canada’s relatively high flying taxes. That’s why many traveling to/from the US fly out of/into Buffalo. There’s a reason that unnamed carrier earlier asked for a revenue guarantee: there’s not an obvious unserved or under-served market here. HOWEVER, the above catches an even bigger red flag that the rationale of expansion being an economic boon is dubious. St. Catharines, Niagara Falls and NOTL all lose money out of their budget every year to support the NDA, yet we are supposed to believe they’re giving up control of the NDA just as it is to start turning a profit? Dubious. I believe that this was a passion (or pet) project for outgoing St. Catharines MP Rick Dykstra. I am not sure upgrading the airport will attract a carrier and not sure that even with a committed carrier providing seasonal service it would be an economic boon. I can understand why a politician may find bringing an international airport to their riding to be a feather in their cap. However, there’s a new Federal party in power, and though St. Catharines is still represented the governing party, the Liberals are likely to be loath to embrace a project championed by the Conservatives. 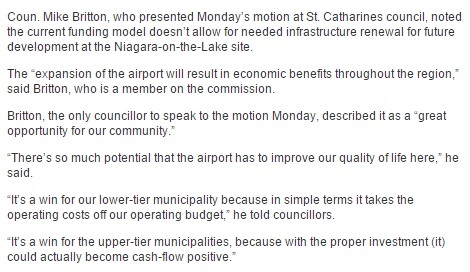 Furthermore, the airport itself is in NOTL, which, along with Niagara Falls is represented by a Conservative. And not just any Conservative; one running for the interim leadership of the party. In light of this, I think it’s safe to say that even if the airport project were an important one, those funds are unlikely to be granted from the new Liberal government’s infrastructure fund. Bittle has said he’s motivated to fund “shovel ready” ready” infrastructure projects in Niagara. For an area that has lost Via Rail service, is still asking for daily GO service and has not sorted out its bus service, an international airport famously promoted by the rival political party seems like a wasteful transportation infrastructure ask. The political landscape has changed (much to the chagrin of some local politicians). This will be a test to see if our local municipalities can be nimble enough and prudent enough to pivot its efforts to more worthy local infrastructure projects that are likely to receive funding. If the Federal government is willing to dole out cash, and we have an MP representing the governing party, we cannot waste that opportunity to improve. This entry was posted in Niagara District Airport, Niagara Politics and tagged bittle, britton, dykstra, federal funding, harris, NDA, niagara, Niagara Infrastructure, Niagara Transportation, politics, siscoe, transit, triple majority on October 27, 2015 by greg miller. Councillors disrespect business leader – is gender the reason? Fact: Niagara Region Council is made up of 31 individuals. Only 4 are women. First: not only was the motion defeated; at the Corporate Services Committee, the CEO of the chamber, Mishka Balsom, was subjected to many patronizing remarks from Councillors; presumably for her transgression of taking the time to represent her organization’s well-founded hope for change with a good presentation on why an elected Chair is needed. One Councillor asked Ms. Balsom if she understood and could explain how Canadians elected our Prime Minister; another suggested she wasn’t running her organization or communicating with her members correctly. This brow-beating went on for over an hour. A clip (beginning around the 25 minute mark) can be found here. I remind you, this is the representative of the greater business community being told not “thanks, but no thanks” but instead “no, you ignorant incompetent” by our fair Regional Councillors. I decided to look at Balsom’s presentation and the response from Councillors further. I watched it so you don’t have to, but if you’d like, you can see the video here. The Greater Niagara Chamber of Commerce (GNCC) represents 1,550 businesses throughout Niagara; those businesses employ 45,000 people.It is “the champion of business in Niagara.” Suffice it to say, it is an important organization. Governance reform has been on the GNCC’s agenda for at least four years now. In a 2013 survey, 80% of the GNCC’s membership supported changing Niagara Region’s governance model to include an elected Regional Chair. In 2014 the GNCC actually asked candidates for Regional Council to commit to this governance reform. On September 23rd, Niagara Region’s Corporate Services Committee had a motion on their agenda concerning moving towards an elected chair. So, seeing this item on the agenda, the GNCC’s CEO, Mishka Balsom, decided to ask to make a delegation to the Committee. This is common. Walter Sendzik (former CEO), Kithio Mwanzia (former policy director) and others have presented many times on behalf of the chamber at various local councils. Balsom became CEO of the GNCC in April of this year. Prior to that she founded a successful consulting company and worked in the magazine business. She was chosen over 100 other candidates to be CEO. She’s a successful, qualified person. I’ve met her a few times; she’s a genuinely nice person and a good leader. This was her first time presenting on behalf of the GNCC to a Regional committee or council. Balsom presented a good case for why the GNCC wants to see reform, the benefits of an elected chair and how our current system is antiquated compared to other regions. After a delegation, Councillors have an opportunity to ask questions of the presenters. This typically lasts anywhere from zero to twenty minutes. I recall in January that Kithio Mwanzia presented to St. Catharines Council on behalf of the Chamber on governance reform, which was at the time a ‘hot topic’ of some controversy in St. Catharines. His question period lasted twenty minutes. Balsom was questioned for an hour. There was more to this story than just “Councillors make a bad decision.” Doug Herod wrote a good article in the Standard about Councillors poor reasoning for rejecting governance reform and I’ve covered that angle previously. It has happened in the past that question periods last an hour, but rarely at a Committee meeting, which often has less media presence and thus, less grandstanding, from Councillors. The real issue, the real embarrassment, of what happened that day was the way Councillors treated Balsom. Four councillors (Quirk, Maloney, Annunziata and Heit) asked standard questions that could be expected. Some agreed with governance reform and some did not but they all asked pertinent questions and did so with a normal, respectful tone. Five Councillors asked insulting or frivolous questions in a patronizing tone. Volpatti finished by saying there was little interest in the topic, despite Balsom having just said 80% of their membership is very interested in it. Reminder: the GNCC shouldn’t be on trial here. Councillor Andy Petrowski, St. Catharines – Petrowski begins by questioning Balsom and the GNCC’s organization, wondering why the decision to present to Council was made “at the last minute.” Early on Petrowski had to be reminded to keep questions to the presentation, instead of belittling the GNCC or Balsom. Maves answers for her: “He doesn’t have any power.” This isn’t true. 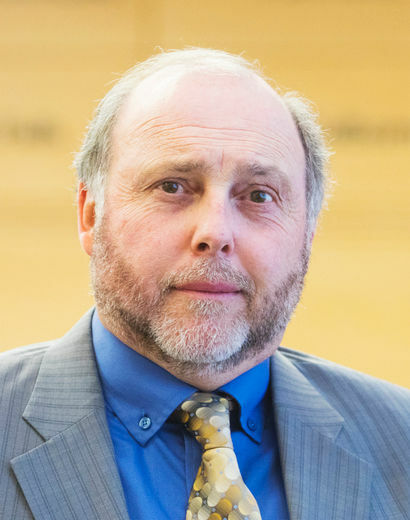 Maves is a veteran politician, who knows that the Regional Chair is very different than a Councillor, in that it’s a full-time position with dedicated staff support; the Chair also sets the legislative and financial agendas and acts as the “face” of the Region. Maves brings up that a Chair could run on a platform that is different than a Councillor’s platform. So how could they work together? This happens literally every municipal election featuring a Mayor and city councillors. The sky has not, yet, fallen. Again, Maves knows this. “So the GNCC hasn’t had a conversation about the number of Regional councillors?” This isn’t what’s up for discussion today, so it’s a strange criticism. After ten minutes of untruths and spurious questioning, Maves is cut off by the Chair of the committee, David Barrick. With that, Balsom’s hour of grilling comes to an end. At best, this incident shows us that our Council, which is apparently “open for business“, is not even interested in hearing from the business community. If someone as prominent and important as the CEO of the GNCC has their delegation used as an excuse to put their organization and leadership on trial, why would any citizen feel confident sharing their own opinions? I will leave it to you to decide if her gender played a role in her treatment. What I can say, again, is I have witnessed many occasions that Walter Sendzik, Kithio Mwanzia and other male Chamber representatives presented to local councils just like Balsom did. Rarely are they questioned for as long as Balsom was. They never had their own competency or their organization’s competency questioned. They were not insulted with childish questions. Leaving aside that Balsom is a woman. Leaving aside she is the face of an important community in Niagara. Leaving aside she’s a successful person. Leaving aside she’s a smart person. Leaving aside she’s a nice person. She’s a person and she deserves dignity and respect from our elected representatives. She did not receive these. If Niagara is going to progress we need to demand better of our elected representatives. We need diverse, thoughtful and intelligent representation. We need a Council that respects its citizens, no matter their opinion, their sexual orientation or their gender identity. We are not receiving this. But hey, at least they gave themselves a pay raise. This entry was posted in Politics, Women in Politics and tagged balsom, caslin, gale, GNCC, maves, petrowski, politics, volpatti on October 12, 2015 by greg miller. Heading into tonight’s JCI Federal Election (7:30 p.m. at the Holiday Inn on Ontario St.), I asked five members of the emerging generation why the candidate they support is the best choice to represent Niagara. This debate promises to be an interesting one, in particular as it features all five registered candidates. Question: Why do you think [Party] and/or [Candidate] is the best choice for young people in Niagara and/or Canada? I fundamentally believe we need better government in Canada, not just different government. Justin Trudeau and the Liberal Party of Canada have laid out one of the most comprehensive plans in a generation to do government differently. This includes reviewing our current electoral system and alternatives to strengthen Canadian democracy, making parliament open by default (including the Prime Minister’s Office, Minister’s Offices) through access to information requests, and committing to having 50% Male and 50% Female representation in the Federal cabinet. Additionally, the Liberal Party of Canada and Justin Trudeau have committed to implementing a Prime Minister’s Youth Advisory Council that will allow the Prime Minister to remain up to date on issues of importance and concerns youth may have. As for why Chris Bittle is the best choice for St. Catharines and the Niagara region. Chris knows the struggle of being a young person and trying to make ends meet. He has stood up for those without a voice for years with his involvement in the Quest Community Health Centre. I first met Chris earlier this year and I was impressed with his ability to relate to young people and the struggles we go through. I was impressed by his thorough grasp of the issues facing the city of St. Catharines. Saleh Waziruddin is the best choice for young people because voting communist demands a youth and student agenda. St. Catharines-Niagara has some of the worst unemployment rates in Ontario and Canada, and youth unemployment is double the average rate. The average undergraduate in Canada graduates $27,000 in debt and in Ontario it’s even higher. Our generation is the first since WWII which will have a lower living standard then their parents’ generation. Under Harper, Canada has become a voice for oil corporations in international climate negotiations. Saleh and the Communist Party think that education is a right and that youth should have decent jobs with higher wages. We support the elimination of tuition fees, the establishment of a living stipend for students, and the cancellation of all student debt. We demand that the minimum wage federally and provincially be raised to a living wage of $20/hr and that youth unemployment be eliminated through massive public green job creation, building affordable housing, expanding infrastructure, social services and funding for arts and culture. We would facilitate the unionization of young workers with a new Labour Bill of Rights. We need to scrap CETA negotiations and the TPP and withdraw from NAFTA. Free trade has resulted in huge job loss in manufacturing that used to be the backbone of communities such as St. Catharines. Saleh is taking a strong stand against corporate greed by saying that if profitable companies don’t want to produce in Canada, we can take over the plants and the government can run them under democratic control. Saleh is a consistent fighter against racism, sexism, homophobia and transphobia and the Communist Party of Canada demands full equality. The Communist Party supports closing the Tar Sands and expanding public green energy, as does the environmental movement. This is the kind of bold agenda, demanded by the youth and student movement, that can move Canada in a new direction. Voting for Saleh is a recognition that there will be a long-term fight for this future, but that voting for these policies is a small step towards the necessary goal of a socialist Canada. Rick Dykstra is one of the best local MPs in Canada. He’s done way more for St. Catharines than anyone else before him. Personally I didn’t have to pay tax on my scholarship like my older brother did. I also got to save with lower taxes and a Textbook Tax Credit. Those are Conservative policies. Balanced budgets are better for people our age than optional deficits. I don’t think it’s a good thing that Kathleen Wynne is supporting the Liberal plan. I bet the Ontario Liberals seemed a lot better 12 years ago, but reckless spending catches up to you and now our generation is paying the price. I help Rick Dykstra because he’s great at his job. Rick is active in the community and cares about delivering results for people like us. This entry was posted in Uncategorized on October 6, 2015 by greg miller. There are 125 Municipal politicians in Niagara. The highest paid of those positions earns $165,000 a year, including benefits and expenses. That particular position earns the most for a good reason: it is in charge of a corporation that has an operating and capital budget of approximately $500-million a year. For four years. That’s two billion taxpayer dollars. And, unlike the other 124, the voters of Niagara do not elect this position: the Niagara Region Chair. 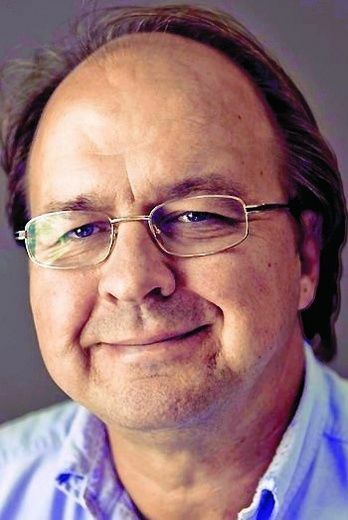 Not only is that position not elected by residents, “in Niagara, the number of residents who know who the Chair is is startlingly few” according to Fort Erie Mayor Wayne Redekop. Unfortunately and ironically, Mr. Redekop recently used that quote as an argument for maintaining the status quo in Niagara. I would suggest Mr. Redekop’s quote is both true and indicative of a major democratic problem in Niagara. The highest-paid Municipal politician in Niagara, in charge of the largest budget, is not even accountable to voters on election day, let alone the other 1,460 days of their term. This post is not a commentary on the current Regional Chair or any previous, but the position itself. Residents should not only be aware of who is in charge of spending two billion of their dollars, but should have a say in choosing that person; just as they do with their local Mayor. Wait, so if the people of Niagara don’t elect our highest paid politician, who does? The Regional Chair is a full-time position that is responsible for the legislative and economic agendas for the Region, runs Council meetings and is the primary liaison for Niagara with Provincial, Federal, and other governments. So, while this position serves as the face for Niagara, it is only accountable to 30 people. I think it is safe to say this is hardly a mandate to direct the spending of two billion dollars. Almost no one does it this way anymore. Waterloo, Halton, Durham and York have either changed to an elected chair or are in the process. Peel has begun the process. You would hope the answer were so simple. Unfortunately, the Greater Niagara Chamber of Commerce, representing approximately 1,500 businesses in Niagara have said an elected Chair is a priority for the business community. Seeing that, in January a motion came before Niagara Region Council to start the process of governance reform. This motion, only asking for a process to begin, was deferred. Hey, why get an early start? After deferral the motion came up again in July. Can you say deferred again? 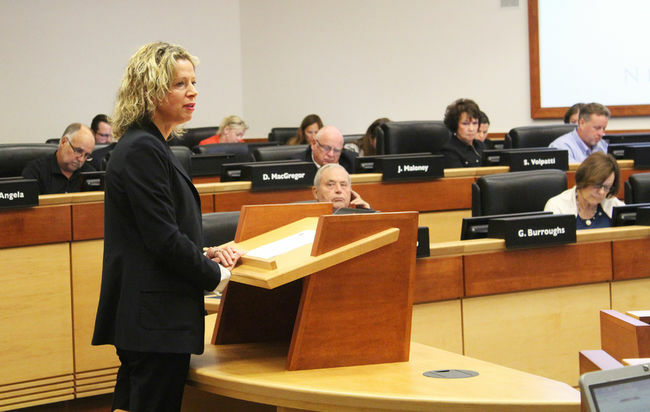 After a motion merely asking to begin a process was deferred a second time, Niagara Regional Councillors actually had two opportunities at this. On September 22, a motion was brought forward to the Corporate Services Committee by Pelham Mayor Dave Augustyn regarding beginning the process to change to an elected chair. This process would include public consultation and options for how to move forward. This motion was defeated at committee. The motion was then pulled up for discussion at the following Council, last week; a glimmer of hope, maybe a week brought everyone to their senses. Mayors Augustyn and Sendzik, among others, maybe some very sage points about why Niagara needed to update its governance while still tackling other ideas. Now was finally the time right? Nope. A directly-elected Chair was confirmed defeated. Why was it defeated? That after the following paragraph. Now why did said fair Councillors reject having an elected Chair? That’s where the silliness begins in earnest. If the Chair were elected Region-wide, the smaller municipalities could never hope to have a Chair from their community. You’re laughing at my deep cynicism for satirizing a politician for claiming they can’t do their job (addressing issues) because they’re too busy; unfortunately this is actually what happened. How addressing one issue prevents you from addressing another will always be beyond me. Maybe Regional Councillors cannot walk and talk at the same time. Waste management is more important than snow removal, so should Regional Council not address snow removal on regional roads? Quite a few Councillors said their focus is “jobs and the economy”. The effect Niagara Region Council can have on the macroeconomics of the job market here is a post for another time, but suffice it to say it registers as absurd when the Greater Niagara Chamber of Commerce suggests a change important to its members (businesses), that the suggestion is dismissed as not being aligned with what’s good for jobs and the economy. In the end, only seven Councillors supported beginning the process of having a democratically-elected Regional Chair. These seven were: Augustyn, Baty, Edgar, Hodgson, Rigby, Sendzik and Timms. The rest ensured we could not even begin the process until 2019; with earliest implementation in the 2022 election. Is a directly-elected Regional Chair the most important issue facing Niagara? Hardly. Is it even top 50? Arguably. Could it have been addressed by this group of Regional Councillors while still addressing other priorities? Absolutely. Is it emblematic of the state of Niagara that citizens of Niagara’s first opportunity, with good fortune and better politicians, to hold their highest-paid politician accountable through voting will be in 2022? Absolutely. We are already well-behind governance reform compared to other regions. We will be even more so by 2022. Keep in mind these are the same regions that our Councillors often wistfully wonder why they’re improving at a faster rate than Niagara. Well at least they voted themselves a pay raise? This entry was posted in Politics and tagged niagara on October 6, 2015 by greg miller. The problem starts early when Mr. Lafleche writes “some young women apparently posted to social media that they got some drinks from his table where the bottles of vodka were.” That’s obfuscation. 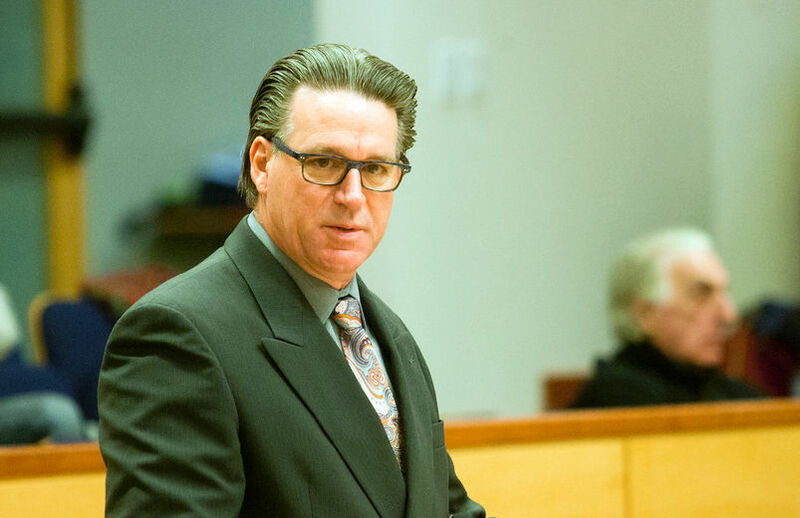 The truth is, two underage girls alleged Mr. Dykstra purchased them drinks; which is very different than merely wandering over to his table and taking drinks he bought for his party. I believe that the accusation is unproven and that Mr. Dykstra had nothing to do with the bribe, which I agree with Mr. Lafleche was hardly a bribe offer at all. But I think it is wrong to suggest that there’s “no story here” and criticize another outlet that took the time to look into it when, apparently, the Standard’s investigation was only to speak to Mr. Dykstra at the time of the incident. Suggesting a significant accusation is only a story because Niagara is bored is quite unfair. I have a great deal of respect for Mr. Lafleche, but would have expected more from his response column. The accusation appears to be unproven, so maybe we should all move on to something else. This entry was posted in Uncategorized on October 3, 2015 by greg miller. Let me start by saying George Darte and Tom Rankin are great business leaders and great community leaders. Each has made a large, lasting and positive impact in Niagara through both their businesses and their community work. It is important, however, to remember that they are not a Business/Community Leader. Being successful in business does not necessarily mean you’re going to become a community leader, and being a community leader does not require you to be a business person. In a similar vein, it is important that we are able to separate “what’s good for the business community” and “what’s good for the community.” These will (often) be one and the same, but not always. I’ve discussed N1agara previously (https://niagaranext.wordpress.com/2014/09/16/oneniagara/) but wanted to try to answer a more specific question this time around. Namely: Cui Bono? Who benefits from N1agara? Without re-stating my previous post in its entirety, a quick summary: Niagara does not have a single urban centre the region revolves around, amalgamation has not found success where it has been tried and finally, amalgamation does not lead to a decrease in municipal spending (http://www.thestar.com/news/gta/2014/01/13/amalgamation_brought_fewer_ontario_cities_but_more_city_workers_report_finds.html). The last point is an important one, as cutting costs leading to reduced taxes is the most frequently cited argument for N1agara. In many ways, amalgamation is more about taxes than it is about governance. Improved service delivery and “cutting red tape” are usually cited as potential byproducts of amalgamation. But make no mistake, the crux of the pro-N1agara argument is about cutting costs. Sounds like our taxes compare negatively to the rest of Ontario. What about that pesky debt rate, how does it compare? So, amalgamation wouldn’t help cut costs, and Niagara doesn’t currently have significantly higher taxes or debt load even if it did. So why is the business community crying out for lower taxes (by way of N1agara)? If taxes aren’t the reason businesses are staying away (as our tax rates are good or normal), lowering them further won’t help attract more businesses. Even if N1agara did lead to lower taxes, (which we’ve seen it hasn’t), who would benefit from this? Currently established businesses (like I don’t know, all the ones at the roundtable at the Region this week) would save significant amounts of money right away if taxes were lowered. Cuts to services would be required, as we have seen that attrition alone isn’t enough to put amalgamated municipalities in the black. Even if laying off staff was enough, it just means a higher unemployment rate when those municipal workers are laid off. So unemployment goes up, services get worse and this benefits Niagara how? The main problem with Niagara’s problems is that we have not even articulated, let alone agreed upon, Niagara’s problems or possible solutions. We have just consistently heard from the business community about its problems because it has a loud voice and a united goal ($$$). Again, I like George Darte and Tom Rankin, but this isn’t about the greater good. I’m not discounting the business community, I think good, responsible and successful businesses are important to any community. But that is just one part. Is status quo acceptable? I think any reasonable person would say that it is not. We know that the jobs issue is a big one, but is it the only one? Is it a cause of problems or a symptom of problems or both? Is the problem that we are spending too much or not spending enough to provide better services that may attract businesses and people? Are we overgoverned, misgoverned or adequately governed? Should we amalgamate or better collaborate while maintaining our municipalities? Do we want to become a commuter, bedroom community? There are a myriad of complex questions that N1agara seeks to solve with one solution. It cannot. It is fine (and great!) to have an opinion on the proper way forward, but it should be backed up by facts, precedents and impact if it is to be taken seriously. An absolutely exhaustive statistical analysis of amalgamation is beyond my scope, but it also hasn’t been carried out yet, so why are still putting the N1agara horse before the analysis cart? My opinion? Sure, you’ve come all this way: leverage our advantages (like tourism dollars and proximity to the border) to provide better services (roads, transit, community programs) without increasing taxes. Instead of a flat tax cut across the board, give the thousands of non-local students who graduate every year here a reason to stay in Niagara by providing property tax breaks for hiring Brock or Niagara College grads. Grow the population by making Niagara attractive to all, not just corporations. Address the complex issues with intelligent, nuanced solutions. Simple? Yes. But it requires a lot of cooperation and hard work. This entry was posted in One Niagara, Politics, Uncategorized and tagged amalgamation, niagara on June 25, 2015 by greg miller. 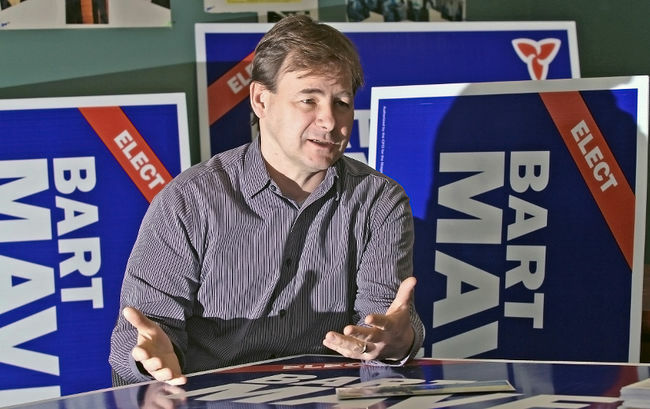 The St. Catharines Mayoral election has approximately 10 more days of campaigning left. The race is wide open, and frankly, victory is available for the taking. In this post I’m going to lay out how each candidate can win the election in the next ten days. Now, according to the Forum poll from October 10th, Jeff Burch is leading the way currently. This was affirmed by Burch himself and (mistakenly) by his two main opponents at the last debate. Burch has also been touting the poll frequently in his social media accounts and website. What’s important to keep in mind though is not that Burch is in the lead, but that only 23% of committed voters are voting for Burch. Even leaving alone that other candidates could take a bite out of that 23% support in the coming days, that means over three quarters of the electorate are not voting for Burch (at this time.) Wide open. With only one debate and 10 days left, let’s look at what each candidate can do to win. *Some housekeeping: as genius as I am, I can’t divine a single, reasonable way that Mark Stevens or Jim Fannon can actually win the election, but they can achieve victory in different ways. For kicks, let’s go in ascending order based on that Forum poll. Jim Fannon (3% in Forum Poll): As stated, I don’t think Jim Fannon has a reasonable chance of winning this election. I think Jim Fannon would admit that (he admitted he was a long shot soon after filing.) Fannon’s greatest outcome in this race would be a return to relative “Niagara political” relevance. He has been on a “relevance decline” of sorts, since at least 2006 when he was the local federal Green candidate. Since then he’s done: not much, in terms of politics, save for his CKTB radio show being cancelled after a brief run. Having shed the partisan politics to focus on local, this campaign feels like a “foot in the door” for Fannon to participate in the political conversation again. My 10-day plan for him would consist of continuing to use humour and criticism of the mainstreamers to generate mentions, but supplement that by adding to his drastic reform ideas some reasonable, short-term ideas. He has shown he can be a part of the conversation again, now he needs to show he can be a serious candidate. This means not just needling the others, but promoting some of his own ideas (even if that means writing them down.) If he does that (and stays active during the next four years), I see no reason why he can’t be a viable candidate for Regional Council in 2018. Mark Stevens (5%): Stevens is like Fannon. Stevens is nothing like Fannon. Okay, okay. Best case scenario for Stevens, like Fannon, is political relevance, not being the Mayor of St. Catharines. Unlike Fannon, though, Stevens is coming completely out of the blue. Yes, yes, I know he’s contributed to his community in different ways in the past and should be lauded for that. But politically speaking, he’s a brand new face/voice. In a lot of ways, he’s won already. Most, if not all, the other candidates and many media voices have praised his development over the course of the campaign. He speaks honestly and has attainable goals for the city. He asked some cutting questions of his fellow candidates at the last debate and even was endorsed by one, in a way. My plan for Stevens is simple: be better prepared at the next debate. I fully believe he will be since he’s improved in every debate, but I think he would gain a lot of points if he could go a full debate without saying “I don’t know much about that” to a question about something a prospective mayor should know. If he can prepare for those questions and deliver smart answers, he may move from fringe candidate (5% support) to something closer to mainstream. At the last debate, Stevens mentioned he wanted to see some change so it made sense to become involved and run for Mayor. I think Stevens should tweak that goal a little bit. He can get some political capital from this campaign and if he can keep it up over the next four years, a successful run for a City Council spot could be on the cards. From there, who knows? Mark Stevens for Mayor, 2022? Peter Secord (15%): Secord is a really tough nut to crack. On the one hand, he had a lot of momentum by announcing his candidacy very early. On the other, he took some criticism for seemingly changing his stripes upon going from Councillor Secord to Candidate Secord. On the one hand, he looked to be the conservative, “book-managing” candidate a lot of people thought St. Catharines would need after a period of spending. On the other, he has allowed himself to be trumped by the introduction of a more charismatic candidate who also had conservative support**. On the one hand, he’s a strong, mainstream candidate with a local political and business background that should see him draw on Ward support and business support. On the other hand, he doesn’t seem to actually want to be Mayor, compared to the enthusiasm, fervour and passion Burch and Sendzik’s campaigns have featured. He has specific plans, which is great, but they don’t seem to be engendering a lot of praise. I can’t figure him out, but maybe that’s my own failure. Anyway, my plan for Secord is relatively simple. At the next debate, he needs to focus on conveying why he wants to be mayor. I have no idea right now other than maybe he thought he could and it was the next logical step. That’s not enough. The worst mud you can sling at Sendzik’s intentions is that he’s ambitious. I think that’s great. There is no doubting for me that Sendzik really, really wants to be mayor. Burch, rightly or wrongly, seems to genuinely believe he’s the best candidate to carry on McMullan’s legacy. They have genuine reasons for running and let people know about them. Secord? I don’t see it. The Federal Conservatives want to get more involved in local politics so maybe Dykstra figured Secord was his best bet. But man, don’t let people think that! So, step 1: passion and belief. Step 2: new substance. As I’ve said previously, I don’t like his tax freeze idea. I think it ultimately hurts the citizens of St. Catharines long-term for the short-term benefit of a couple bucks a month to property owners. BUT, it is an idea that will appeal to a lot of residents who don’t think long-term and just want to see their tax bill go down. These residents will vote a lot. That’s good for Secord, that’s a good play. But now he needs some new plays to supplement it. I wouldn’t promote his “business council” idea any more as it doesn’t seem to be well-thought or well-supported. Other than freezing taxes, what is the city, under Mayor Secord going to do differently? This is difficult when you’re advocating a tax freeze; it is hard to promise goodies with less money. But even just in process: will there be more public open houses? Less committees? Zoning changes to promote growth? Incentives for residential development in the downtown core? Just give us something, Secord. You have the vote of those who wish to see taxes down; but it has got you to 15%. You need more. This debate is your last chance, since you don’t utilize web or social media as well as other candidates. Walter Sendzik (16%): A quick note: I wrote the most about Sendzik in the last post. While not a conscious choice, this was likely due my being most frustrated with his campaign. This is because as a young person in Niagara, I would love to see a Sendzik-type Mayor. He is young himself, he’s enthusiastic, he’s not an “old boy” and he has shown a genuine interest and commitment to the area’s welfare in the last 8 years. He has a long-term vision of St. Catharines and its place in Niagara and the world. The problem? That’s all it is, a vision. Sendzik has goals and they sound well and good. His vision sounds great. When I read his website, the “vision” section sounds wonderful and makes me excited to see his plan to achieve that is vision. But there is no plan, yet. I thought originally he could run on one big idea and win because he had strong starting support and team. But he hasn’t picked a big issue to run on. It is hard for me to believe his experienced campaign team thought he could parachute into this election, have the same general vision of Burch’s campaign team and win. Harder still for me to believe anyway thought his Port Place gambit was a good one. The 16% support he has now is probably the same support he had the day he announced his campaign, which is a great starting point but I can’t imagine how he thought that number would grow without specific ideas. My path to victory for Sendzik is simple: tell us your specific plans and don’t mention Port Place, unless it is to say “these guys haven’t done anything to whip this developer into shape, I will.” We are past the point where he can drop one big concrete idea and coast to victory. We know his team uses web and social media regularly, so use that! If I were him I would start dropping concrete, specific ideas every single day until election day (and maybe this has started, he has a video about restoring beaches up as of Wednesday. This isn’t really a plan per se, but at least an idea others haven’t touched on.) So don’t say “increase mixed-use development downtown”; say “modernize the complex zoning by-laws that hold back downtown development and provide incentives for business and residents to re-locate there.” Not “pursue business and remove barriers” but “as my first priority, use my knowledge of business needs as former Chamber CEO to reduce wait times for permits but removing two layers of bureacracy.” You want GO Transit? Great. Everyone wants GO. How’re you the one to get it? What would you do differently than Burch or Secord? Just tell us, please. Give me a plan, not platitudes. You don’t need to work so hard selling yourself; sell your unique ideas. And don’t mention Port Place or its developer in anything other than the negative light it deserves. Jeff Burch (23%): Burch, like Secord, is a good candidate. He has local political experience and experience within the labour movement. He seems to be generally respected a City Councillor and has strong Ward support. He has similar generalized vision points as Sendzik but has differentiated by putting out some very specific ideas on his website, such as enhancing the Enterprise Centre in St. Catharines to help businesses and his Green plan. He has generally handled himself well at debates, despite a target on his back. He has wide-ranging base of support/endorsements, from labour to politicians to educators to big business. He is the closest thing to an incumbent there is in the race, and incumbents have a great track record locally. So, having acknowledged those things…isn’t 23% a very disappointing support number? Should his campaign really be touting this as a positive that 77% of people haven’t committed to Burch?! Look, it’s a tough and big field of candidates so he gets some slack. But in a year where the conservative/corporate vote is seemingly split, and his two other candidates haven’t capitalized on opportunities, shouldn’t he have a more significant lead?! Burch is acting like a front-runner and that is fine. I praised him for seeming mature during the last debate and I do feel he comported himself fine. But, in the last 10 days he can’t get lazy or complacent. There’s a huge chunk of people who aren’t voting for him, as of the last poll. Big or good moves by either Secord or Sendzik will seem him surpassed if he sits idle. For the last debate, he better be prepared for the targeting and have a better answers prepared for silly questions other than just “that’s a silly question.” He will need to keep pace with the Secord and Sendzik campaigns, which should have renewed pushes in the final 10 days. It is clear from the poll that he doesn’t have the support of many, yet. How will he get that? He needs to stay active and add even more substance to his campaign. “Status quo” isn’t an exciting thing to run on. It might make sense at a time like this, but it isn’t going to motivate undecided and isn’t going to motivate supporters to make sure they vote. He needs to make it clear how a city under Mayor Burch will be improved than the city under Mayor McMullan (that doesn’t mean Mayor McMullan was bad, but people expect progress.) Finally, at the last debate he needs to come off as more mayor-like than his competitors, and that doesn’t mean remaining seated and chuckling off questions. Everything is left to play for. Should be an exciting week. Thanks for reading. This entry was posted in NiagaraVotes2014, Politics and tagged MayorCampaign on October 16, 2014 by greg miller.